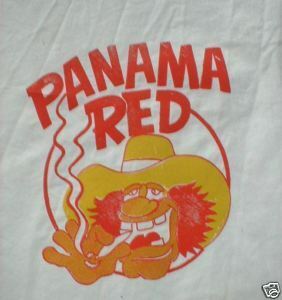 Super Cool Vintage Fun Iron-on Transfer from the 1970s *** Panama Red *** Anti-Social saying fun design wax transfer on paper *** Just use heat from iron to transfer to T-shirt *** This is not a repro. This is the real deal from the stock of a Tee-Shirt maker. *** These are original, and Yes, they still work fine. *** A Wax transfer lasts much longer than a simple color transfer. It doesn't fade after a few washes. *** Cool! You can now have a 70s T-shirt on a new shirt, whatever, of your own choosing. *** Comes with simple to understand instructions *** The picture shown is from my first attempt to insure that these transfers still work fine - they do! The wax format perserves the image. *** Iron-on measures 8 x 10 (approx) *** If you purchase additional transfers, will send - no additional S/H charge. *** Remember, These are very rare. These are originals from the 1970s. When they are gone - they are gone! *** Watch for my other designs from such groups as the BEATLES, THE GRATEFUL DEAD; JIMI HENDRIX other groups and classic entertainers from the 60s and 70s. This is a Rare opportunity! *** Powered by Turbo Lister The free listing tool. List your items fast and easy and manage your active items.